New world record for a carpet sold at auction – The Connoisseur Carpet Cleaning blog. The keenly anticipated sale of Important Carpets from the William A. Clark Collection, deaccessioned by the Corcoran Gallery of Art took place today at Sotheby’s New York. The 25-lot auction totalled $44m for the Washington DC museum. 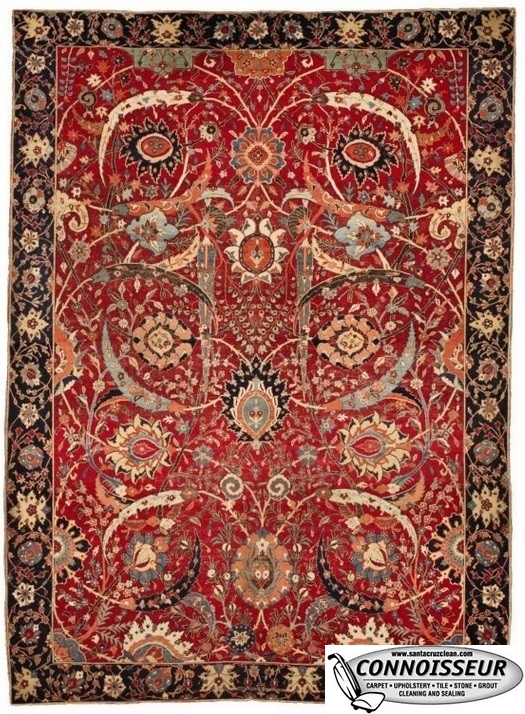 The undoubted highlight of the sale was the new world record price for a carpet sold at auction set by lot 12, the beautiful Clark Kerman sickle-leaf, vine scroll and palmette ‘vase-technique’ carpet, which sold for $33,765,000, almost five times high estimate and far outstripping the previous auction record of $9.5m paid for another 17th century Kerman vase carpet at Christie’s in London on 16 April 2010.